This is a continuation of part I. In the previous post I have described how to find data and prepare slide format. Also how to setup background for your infographics. Infographics should have a distinct header. Text on a flat banner will make a nice one. 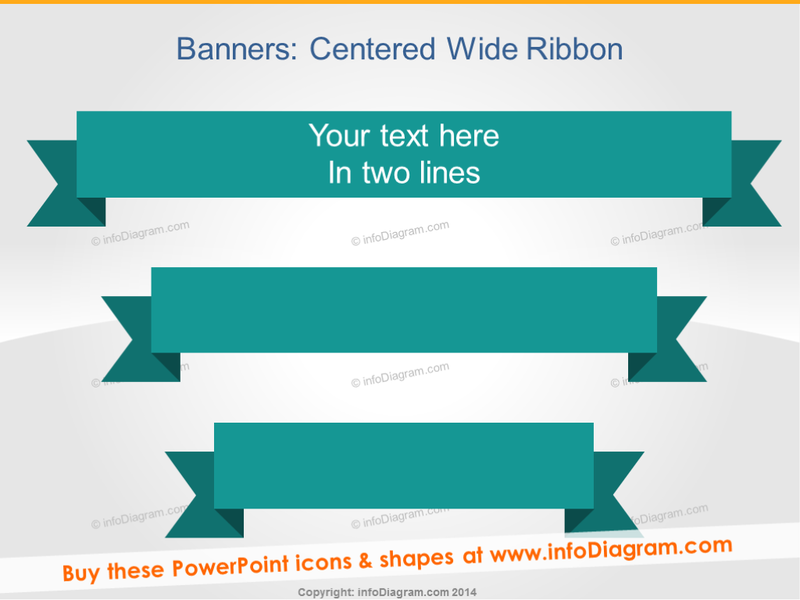 I used a banner from banners for infographics for PowerPoint package. Create a rectangle which will correspond to a 100% length. Change size in “Format Shape” -> “Dimensions” -> “Scale Width”. Set actual value of the stat you want to display, e.g. 26%. Nice extra touch to the bar chart is the indicator like this one. It is made with one rectangle and triangle. You may like these callouts. In fact, it is a rectangle and a line with circles at the ends. First, you create a rectangle or you can reuse indicator from your bar chart. Create a line. Make it bold, and set arrows as circles. 3. Important little detail. Line color should be a bit darker or brighter than the box. I hope you will find it useful. Let me know if you have any questions or problems when you create your infographics in PowerPoint. I read all the comments and emails.